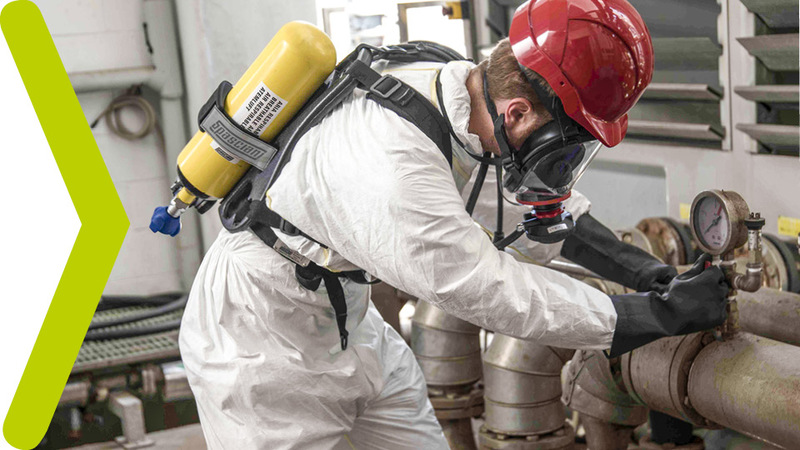 Confined spaces and oxygen deficient environments, tanks and plants inspections: RN breathing apparatus is the right product to face any risk safely. A self contained breathing apparatus (SCBA) that uses an open‐circuit breathing system, not depending from the environment. The RN MINI are lightweight apparatus – the set weighs 10,5 Kg, complete with mask and 3 l 300 bar fully charged steel cylinder and 7,5 Kg with mask and fully charged 3 l 300 bar composite cylinder – intended for short interventions and equipped with a small and compact back‐plate carrying system to allow operators to easily access confined spaces. SPASCIANI RN MINI self‐contained breathing apparatus are classified as Type 1 (device for industrial use) available just with 3 l cylinders. SPASCIANI RN MINI self‐contained breathing apparatus are optionally provided with the Automatic 4‐way valve, an accessory that allows to feed a second operator who will then be equipped with an individual warning device signal at his mask; with this accessory it is also possible to connect the self‐contained breathing apparatus to an alternative source of air to prolong its autonomy and/ or to ensure a safe escape whenever the main feeding source has suffered an accidental interruption. SPASCIANI RN MINI self‐contained breathing apparatus are certified with all Spasciani fullface masks. Self contained breathing apparatus provided with 3 liter 300 bar steel cylinder. 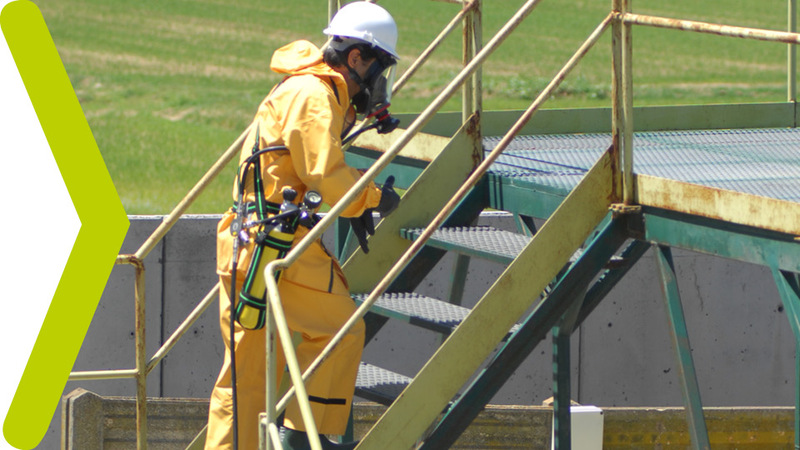 BVF is ideal for use in fast interventions in chemical plants or for the escape from dangerous areas. 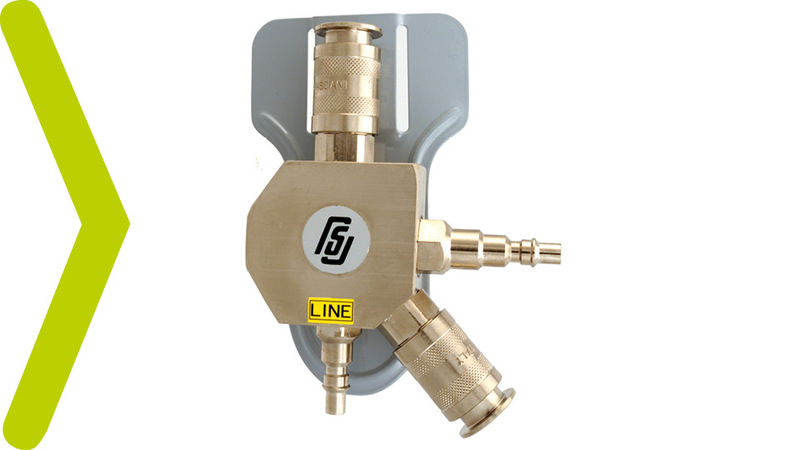 The BU system allows to set the apparatus so that the alarm is immediately activated in case of a failure of the main air supply (compressor or cylinder). BVF adds the highest degree of safety and comfort to the efficiency, versatility and simple use of the RN System, as well as the astonishing field of vision of the SPASCIANI TR 2002 A mask.